Canterbury’s kidswear features the same quality construction synonymous with our adult apparel range, and the Team Side Panel Track Pant is no exception to the rule. 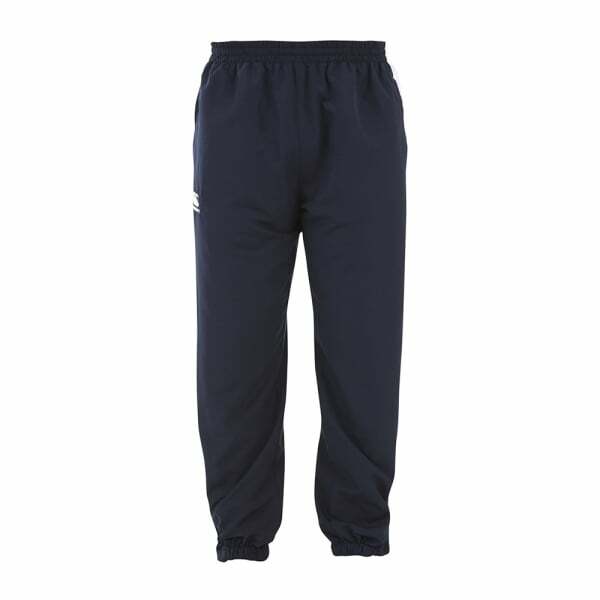 Designed to protect little athletes from the elements and help them excel on the field, these water-resistant, rapid-drying track pants use Canterbury’s unique Vaposhield fabric technology to keep active boys and girls dry and comfortable. Offering a superb level of movement, young athletes are empowered with extra athletic flexibility. Whether you’re at training or relaxing at home, the elasticated cuff and leg zip will ensure maximum comfort. These pants are durable and built to last, with their state-of-the-art fabrics and great technical design.